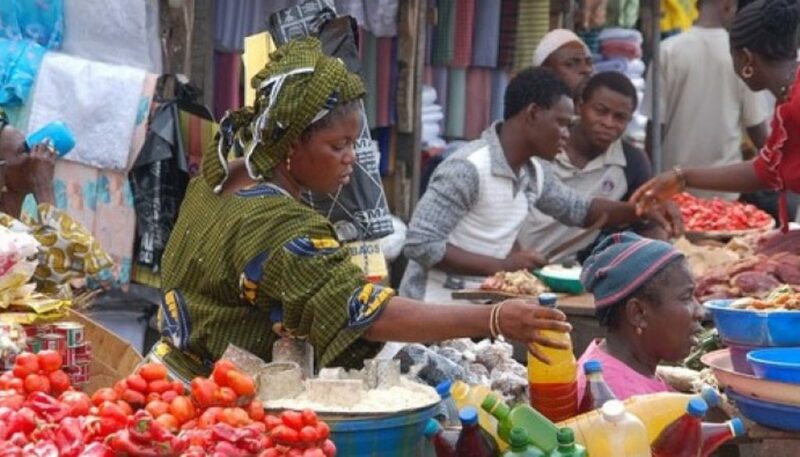 According to Nigeria National Bureau of Statistics, the country’s Gross Domestic Product contracted by 0.36% in the Quarter(Q) 1 of 2016, the first negative growth in many years. Successive contractions in Q2 and Q3 of the same year by 2.1% and 2.24%, respectively, officially chaperoned Nigeria into an economic recession. Even before the country’s general elections in March 2015, the country had already started encountering a considerable number of pre-recession prodromes such as wages crisis, Foreign Exchange (FOREX) scarcity, compressing governmental revenues and domestic savings, rising inflation, job losses, a depreciating national currency, depleting foreign reserves, escalating poverty, while the country’s capital market started losing billions of Naira. These prodromes gradually worsened in succeeding months after the Muhammadu Buhari led administration came into office in May 2015. Between Q4 of 2015 and Q3 of last year, inflation rose from 9.5 to 18.3%. Similarly, unemployment grew from 10.4 to 13.9%; Naira depreciated at the contemporaneous market by around 100%, from around 225 to 450 while it remained officially pegged at 305 per US$1. For the latter, last year, the country’s Central Bank adopted a partial flexible exchange rate regime and consequently, the feeble national currency has been valued at the aforementioned rate upward. Through this, South Africa overtook and undertook Nigeria as Africa’s biggest economy in dollar terms. In addition, foreign reserves depleted from US$29 billion to 25 billion. As a primary export dependent country, Nigeria has been an unblushing subject of international oil prices’ oscillations. Its current economic crisis is an echolalia of the early 1980s scenario which subsequently led to the country’s adoption of the Structural Adjustment Program to circumvent the economic crisis. The 1980s economic crisis frustrated economic growth in the country even till the 1990s. Between 1981 and 1985 in the country’s 2nd Republic, crude oil prices fell by 25% to US$30 per barrel from US$40. As a result, the economy went into a recession as FOREX earnings remained at US$52.78 million, away from the estimated $79.449. External debt rose to Naira 17.3 billion from an estimate of 3.7 billion. By 1985, Nigeria’s external reserves had run close to a level that could hardly finance more than one and half month import bills. Similarly, after the sudden crash in global oil prices from $112 per barrel in the Q4 of 2014 to $43 per barrel in the Q2 quarter of 2016, the country experienced reduced FOREX earnings and governmental revenues. This then affected most sectors of the economy. Oil revenues constitute 90% of the country’s FOREX earnings (2013 estimate) and around 80% of sources of government’s revenues. Previous efforts to diversify sources of these earnings such as the 2nd, 3rd, and 4th National Development Plans and other economic regimes of successive leadership since the country’s 4th Republic have achieved contracted results. In addition, through several apocalyptic economic tactics, the country’s topical administration also contributed to the recession, albeit they are in the process of commissioning an economic blueprint to contain it. First, from Q3 of 2015, its indecisiveness on devaluing the Naira to reduce the pressure on it skyrocketed the black market premium and incentivised arbitrage. Secondly, over the inability of the administration to keep paying oil marketers in foreign currencies so as to import refined crude into the country because of FOREX scarcity, the administration was forced to remove petroleum subsidy in early last year. This had an immediate and terrible impact on inflation. Thirdly, over previous efforts to protect the Naira, the Central Bank placed a ban on the importation of 41 items. This alone worsened the situation by creating scarcity of the products, precipitating job losses and closure of businesses. However, a good attempt by the administration to implement an expansionary budget in the 2016 fiscal year and increase its capital expenditure component by 30% was partly hampered by ceaseless oil pipeline vandalisation by the Niger Delta militants. This deeply affected the administration’s ability to fully implement the budget as a result of drop in oil output from 1818 barrels per day in the Q4 of 2015 to 1270 in the Q2 of 2016. Also, President Buhari’s delay in appointing ministers and the resultant padding of the budget saga affected a timely implementation of the budget. Till today, while the government has promised to release a report of the 2016 budget performance analysis by the end of January 2017, they have not. Furthermore, efforts by the administration to diversify the economy by expanding agriculture and amplifying solid minerals exploration have recorded nanoscopic results over the lack of coherent strategies to achieve such. Finally, limited results from the administration’s efforts to improve the ease of doing business and boost investors’ confidence have further imperiled the attraction of foreign capital into the country. The economic recession is largely Nigeria’s choice and not just oil price shock because it was predictable and largely avoidable. It remains imperative that Abuja make sure that it’s Economic Recovery and Growth Plan is a comprehensible economic blueprint that could address the recession with strategies, projections, targets, programs to cushion its effects etc. They should swiftly devise ways to keep pumping money into the economy, without the commensurate inflationary tendencies it can bring. Following this, the series of jocose frivolous items on the 2017 budget have to be clinically jettisoned while the fund rather goes into capital expenditure. They should also lift the ban on the importation of the aforementioned items. Import led industrialisation strategy has always failed outstandingly when it’s not backed up with coherent or backed up with anomalous tactics. Ultimately, there should be further sound strategies to aggressively attract foreign capital, position the country for industrialisation, diversify exports; and reduce poverty and unemployment.